Standing on its own private quay where the foot of Table Mountain meets the Atlantic Ocean, is a luxurious African treasure; The Cape Grace Hotel. The hotel is cradled by the illustrious V&A Waterfront; a wonderland that was once a trading refreshment station and today an incredible multi-use precinct boasting over 80 restaurants & bars, more than 450 retail outlets, 3 markets and much much more. 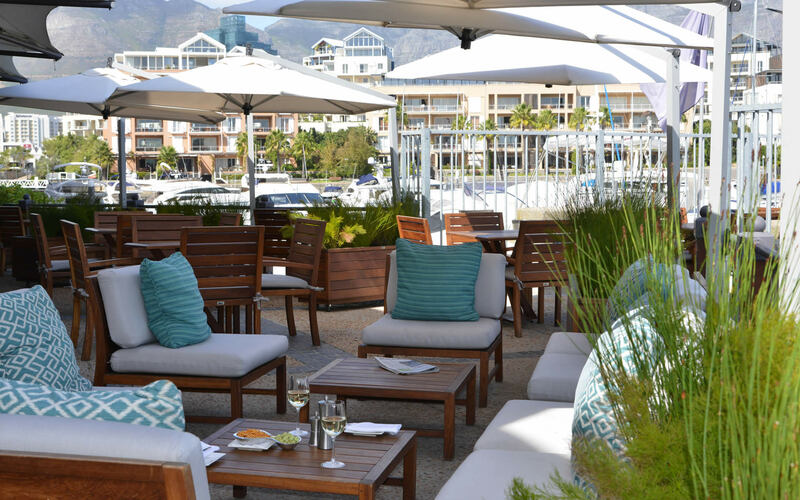 The Cape Grace is perfectly situated; while a stone’s throw from the hustle and bustle of the mall, Cape Town City Centre and the working harbour, the peaceful yacht marina envelops it ensuring the sanctity and tranquility of this iconic hotel. With only 120 rooms, this delightful, 5 star haven will not only impress but welcome you instantaneously into its lap of luxury. On arrival, you are greeted by the distinct simplicity of the architecture and more literally by the ever-smiling, affable doormen. Once inside, the understated opulence and true stature of the building transports you immediately. The high ceilings and carpeted halls lead you from one exquisitely elegant area to the next exuding proudly South African style. Each room is completely distinct from the next, in fact; no two are the same, making guests feel as if they are one in a million. However, all boast lavishly oversized beds, exquisite throws, stately lamps, intricate wallpaper, leather ottomans, gilt-edged mirrors and dainty throw cushions making them fit for a queen. The bathrooms are marble and magnificent, with delicate finishings and white fluffy robes to guarantee the ultimate indulgence. Relax and enjoy the warmth of the raw African sun on the recently renovated pool deck. This wooden expanse is scattered with luxurious loungers hiding under giant parasols providing the perfect nap spots while the icy blue pool offers the perfect distraction for kids or loved ones! Why not order a delicious Gin and Tonic and perhaps a dainty snack? Or head up to the spa for a Rain Shower or a couples massage? An unforgettable experience as the panoramic views of Table Mountain form the backdrop to an extravagant treatment inspired by true African heritage. A sumptuous sunset cocktail on the patio is a must. The cool sea breeze wafts over you while the pea-green marina, teems with yachts, sea gulls and speedboats. As the boats bob away, the water laps at the piers and the sun glints off the sea you cannot help but feel wholly on holiday. Table Mountain and Signal Hill sit at centre stage, while the seals and seafarers provide additional and unnecessary entertainment. Take a tour down under into the wooded mystery that is the Bascule Bar. Home to some of the world’s best 500 whiskies, endless cellars of wine and every other alcoholic beverage known to man. Experience high society at its best, as it will undoubtedly showcase the Cape’s inimitable cosmopolitan nature and maybe even some gorgeous long-legged beauties. The staff dressed in white shirts and waistcoats welcome with true African hospitality. Be it in The Signal Restaurant for a delicious culinary journey or just in The Library for a decadent tea. The starched white tablecloths, genuine silver and fresh flowers reaffirm your status as an esteemed guest. The ambiance and setting harmoniously combine to promise a fully luxurious affair radiating with the true essence of the Cape. The seared beef starter, smoked paprika squid, and the baked orange cheesecake paired with a special selection of wine chosen by the sommelier, will leave your mouth watering for days. The presentation is faultless, as well as the delivery. Now… if only time would stop and you could enjoy the handcrafted hospitality forever. The award-winning Cape Grace is both centrally located and close to the Airport. It is perfect for family holidays, honeymoons or even the odd business trip. Whether you want to see and experience or hideaway and relax this hotel provides the perfect base from which to explore the beautiful Cape. 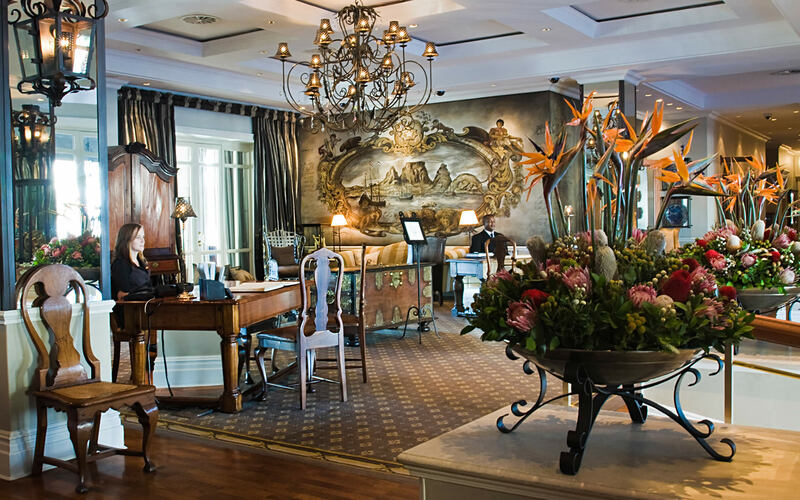 Your stay at The Cape Grace is superbly complimented by an out-of-this-world safari experience, or a retreat into the heart of the Winelands. Contact Iconic Africa today and let us tailor your bespoke African getaway at our exclusive rates. On its own private quay where the foot of Table Mountain meets the Atlantic Ocean. 5 star haven will welcome you instantaneously into its lap of luxury. Cradled by the illustrious V&A Waterfront. Cape Town otherwise known as The Mother City is one of the most beautiful cities in the world and each season has its very own charm. When choosing when to visit it really depends what kind of holiday you are looking for, so here’s what to expect in each season. The summers in Cape Town are like something out of a movie! They are warm and dry, beginning in November and lasting until February. The warmest months are January and February, which are by far the best months if you are looking for a beach holiday! Autumn falls in March and April. There are less tourists at this time and the mountain and vineyards turn a range of exquisite reds, oranges and yellows. The wind drops and temperatures, although lower than summer, are quite mild and pleasant. The winter months fall between May and October and often can be quite wet and windy. However the Cape winter is by no means as severe as winters in Europe and some days can be very warm with blue skies and bright sunshine! The Cape Grace combines tranquillity with location and is the perfect luxury stay in Cape Town. Simply contact one of our African travel experts and let us tailor make your journey to this and other majestic African destinations! Londolozi Private Granite is the most exclusive of Londolozi’s camps and the extraordinarily positioned intimate space is reserved for the privacy of a maximum of 6 guests. The suites can be booked individually or collectively as a private camp, making it ideal for honeymoon couples or small groups celebrating special occasions. Delaire Graff Estate has made the impossible possible, it has fused all the world’s finest treasures into an eloquently opulent experience just waiting for you to visit. By protecting and harnessing the roots of both the More and Chalkley families, Lion Sands has certainly found its wings within the luxury safari industry. In 2014 Lion Sands was awarded third place in Condé Nast Readers’ Choice Awards for Best Resort in Africa, and in 2010 the extraordinarily luxurious Ivory Lodge was named third best hotel in the world by Tatler Magazine.